Making white label products, books, bundles, t-shirts or information products? Then you probably need the Tangent suite of tools. This is the ultimate research and idea development tool, built from years of working with sellers just like you! 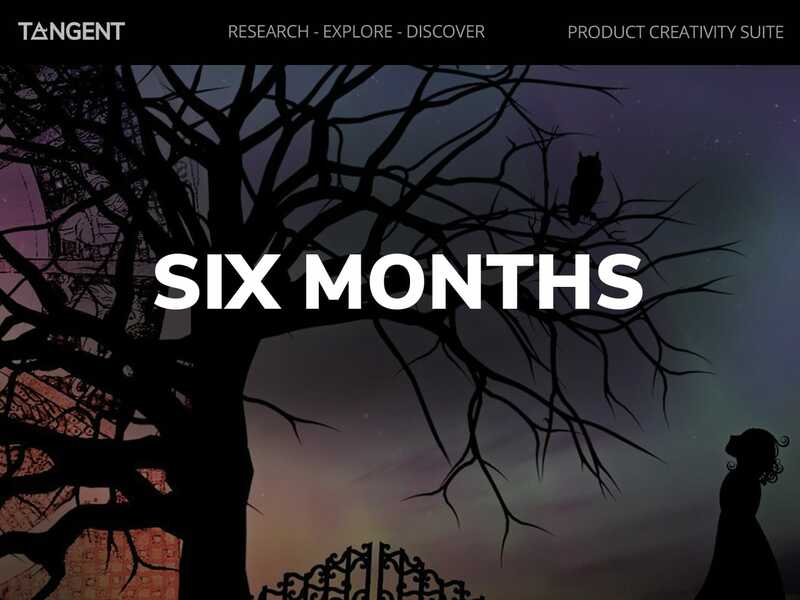 Tangent is a collection of five integrated tools designed to help with product research. 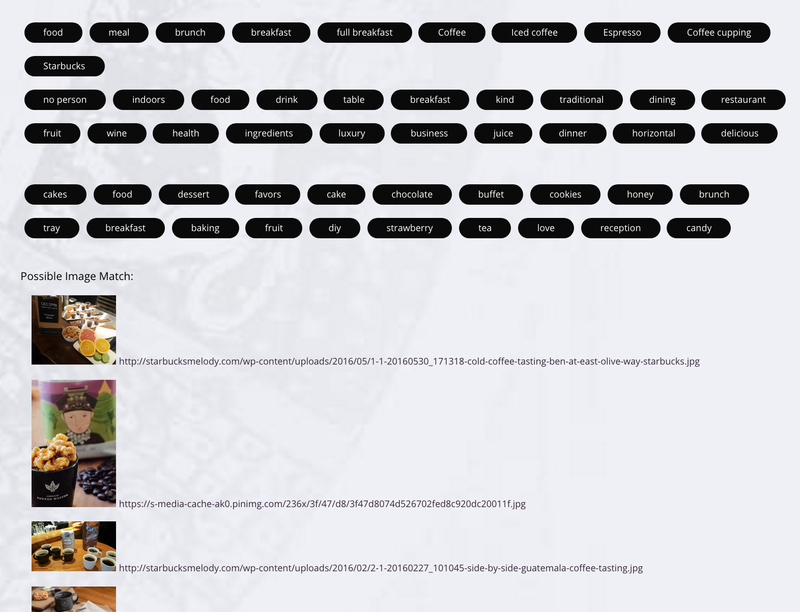 Includes over 15,000 categorized niches to browse and explore. 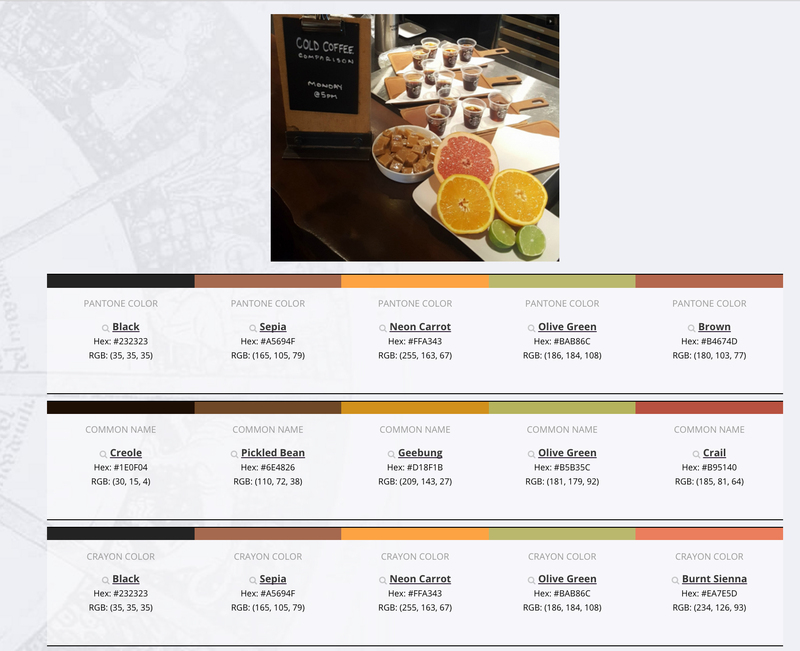 Uses image recognition and machine learning to generate color palettes and dozens of keywords based on a picture, design or photograph. Suggests keywords to help you discover what customers are searching for. Binds the tools together, allowing you to dive deep into any word or niche to find artwork, books, quotes, news stories, trends, puns and much, much more! The Niche Machine is your first stop for inspiration! 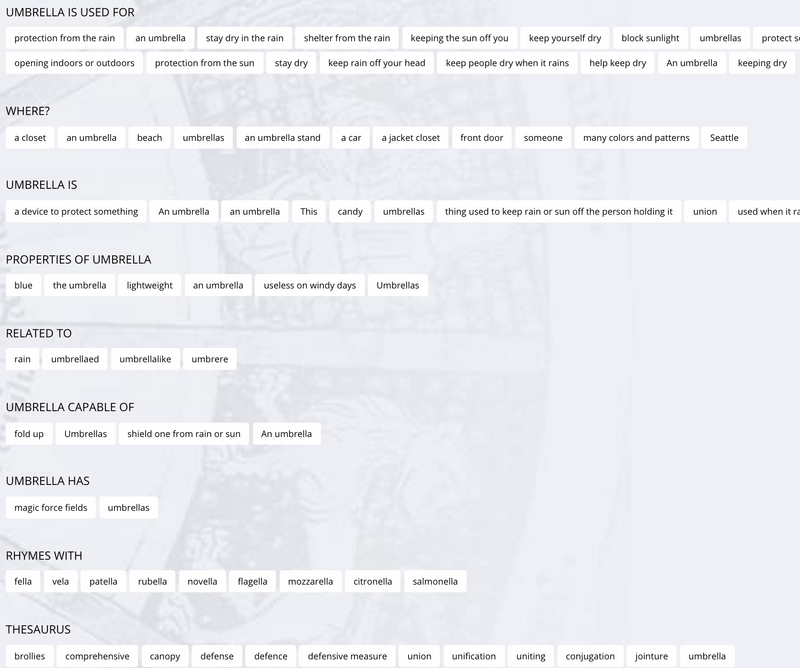 Now with over 15,000 evergreen niches sorted into categories and ordered by search volume. Created a t-shirt for dog lovers? Check out the list of dog breeds, ordered by popularity. Make a shirt for each breed! (There’s 562 of them!) And yes, we have cats too! 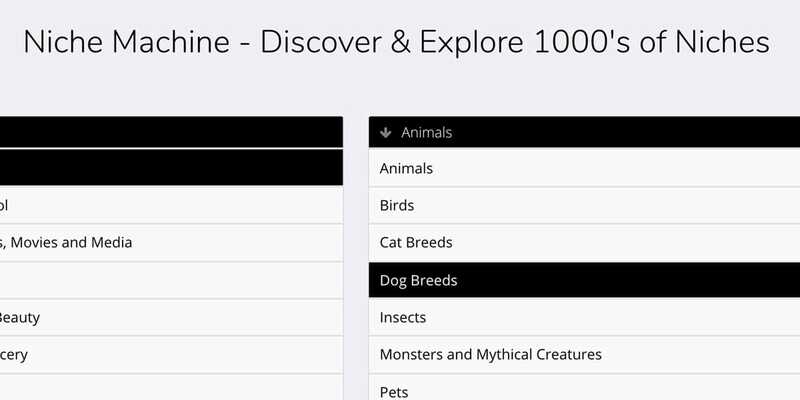 Click on a breed and with a single click, you can use our ‘Explore’ tool to find information, images and news stories about it. You can even generate rhymes and puns! In a couple of seconds, I grabbed ‘Desert Beagle’ or ‘Barely Beagle’ - and lastly, click to run a trademark check and stay on the right side of the law! Putting together homeschool packs? Try the list of Ancient History Events for a start. Or what about famous Victorians? 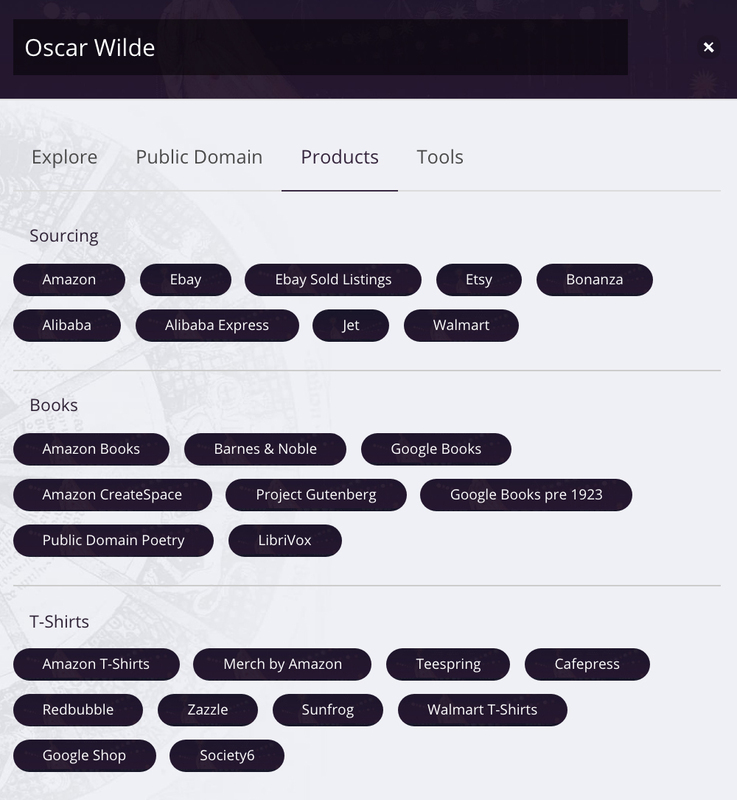 Click ‘Explore’ on Oscar Wilde to find public domain pictures, quotes and even books. It’s a one-stop shop for your product! Stuck for a bundle? Why not check out our seasonal niches. Browse through Halloween, Christmas or Back to School for hundreds of ideas. Then use Explore to source the exact product you need from AliBaba, Walmart or even eBay. There are infinite ways to use the Niche Machine, these are just a few ways it can help you. It’s the ultimate research tool! The new, improved Sky Palette leads the way for product development in image recognition, color analysis and keywords. Click to upload an image of your choice - a t-shirt design, an abstract pattern, an image for your book, a photograph of your bundle and immediately see the dominant color scheme, broken down into Pantones, hex and RGB values and even crayon names! Clicking through for additional information suggests keywords to describe the image, conducts a reverse search to find where else your image appears on the internet and suggests related links for further research. 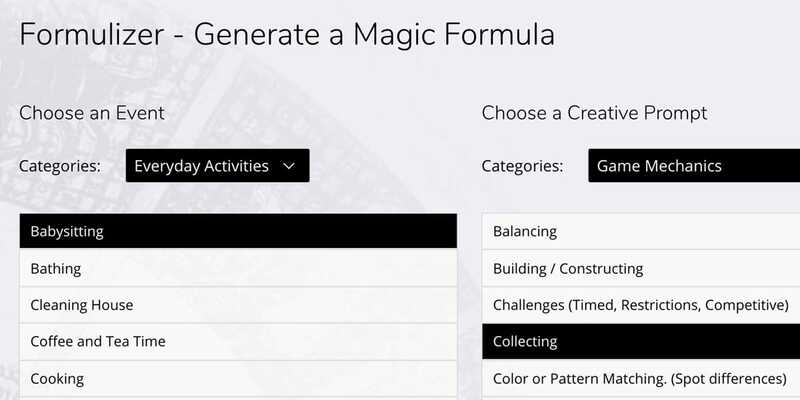 We developed the Formulizer for our Magic Formulas class. 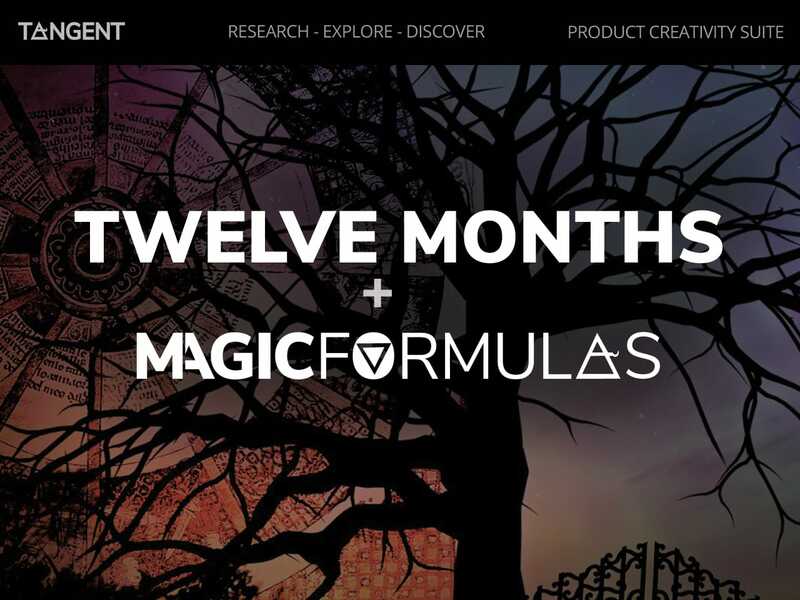 It is a powerful, but elegantly simple tool designed to unblock your creativity fast and help you generate frameworks for brands, products, shirts or anything else you are working on. What happens if you add a ‘fighting’ element to writing? You get Writer Wars! What would that look like? What Writer Wars products could you buy? 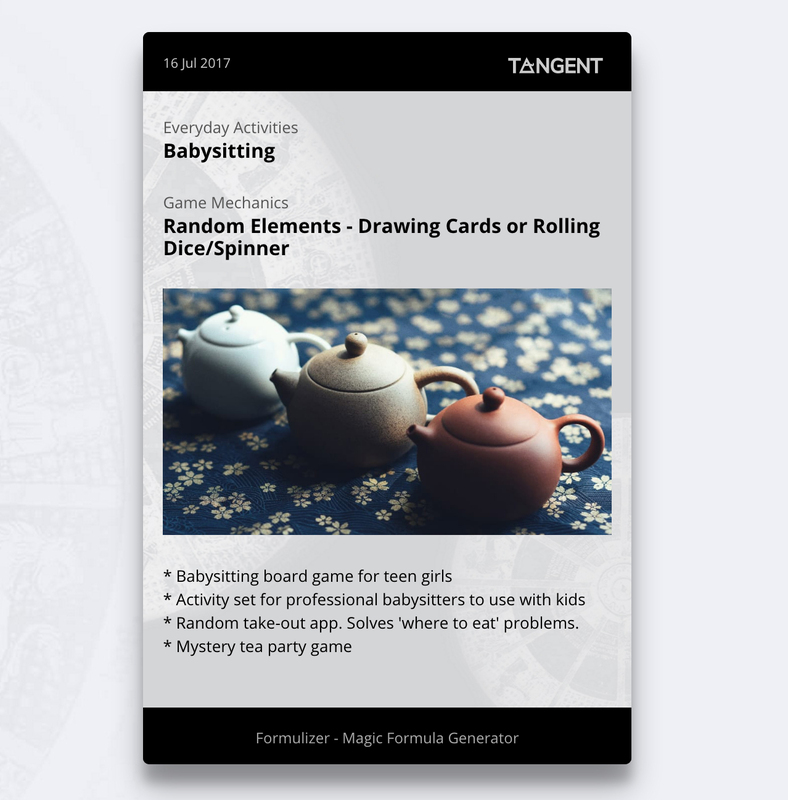 What if you add a ‘random’ element to babysitting? You get Babysitter Cards. A fun product to help a sitter pick activities or log events of the evening. Or maybe a card game for teen girls about babysitting. The choice is yours! What if you add Problem Solving to Exercise? You get Mathercise. Simple mental arithmetic to benefit from all the blood flowing to your brain while you work out on the treadmill. Of course, you may get completely different ideas - which is the point! With this system, you can provoke infinite systems and frameworks, ready to be monetized. Stuck for journal, printable or blank book ideas? Use System Structures to generate a Fishing Journal with emojis, a Garden planning book organized into matrices or what about using Treasure Maps to turn the school run into a journey of adventure every day. Struggling to find an audience or think outside your bubble? No problem. Try Perspectives to consider what a 7 year old would do, what your dad would do, what someone in jail would do. Bored with your t-shirt designs? Try System Structures. A floor plan on a shirt? What if it was the floor plan for a bar, a church, a theatre? 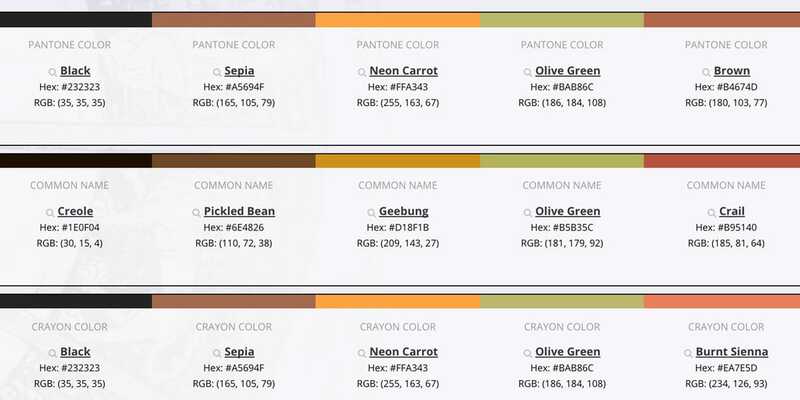 What if you add a color code or an acronym to your design? Stuck in general? Try Katharyne’s Creativity Unblockers, an exclusive set of creativity cards. What if there’s a bad guy? What’s the stupidest thing that could happen? 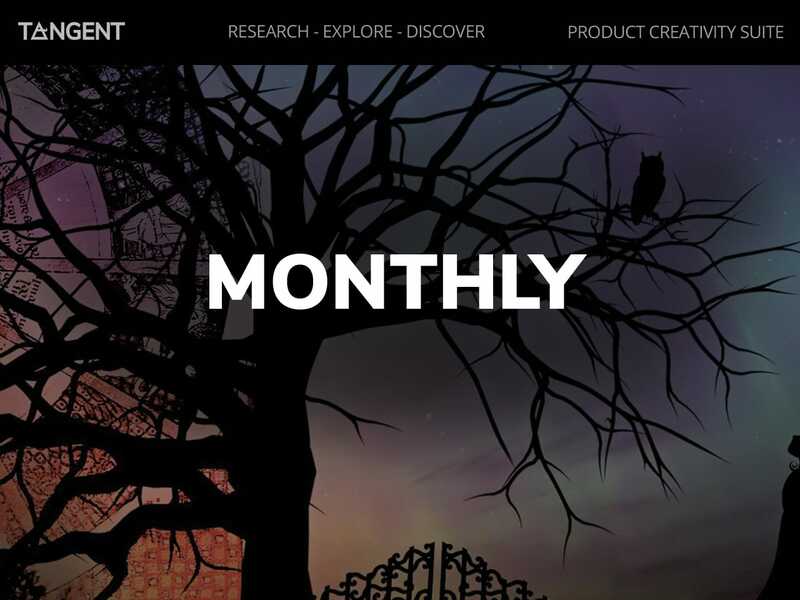 Generate stories, content, marketing campaigns and so much more. Literally, the only limit is your imagination. TangentWords is a unique keyword finding tool. Enter your query and see the most popular keyword suggestions from a range of marketplaces and search engines. Let’s say you find a Print on Demand service offering awesome pencil cases, but you’re not sure which designs might be popular. Just search ‘Pencil Case’ and get suggestions like ‘shark’, ‘dinosaur’, ‘recycled.’ Plus suggestions like ‘Pencil Cases for Boys’ give you extra key phrases you can include in the back end of your listing to catch more shoppers’ searches! If you’re stuck for journal ideas, just enter ‘journal’ and see the kinds of journals that are selling across a variety of marketplaces. Right now, SkyWords offers almost 400 search suggestions for journal. Your friend has drawn a gorgeous bit of artwork - a flamingo! You want to help her get that flamingo famous, but how do you get people’s attention? Searching ‘Flamingo’ returns great suggestions like Flamingo Bathing Suit, Flamingo GiftWrap and Flamingo Cookie Jar. So now all you have to do is find a provider of custom bathing suits ( https://www.bagsoflove.com/custom-swimwear ), Giftwrap (StationeryHQ.com) or cookie jars ( http://www.personalizationmall.com/Cookie-Jars-c65.lp ) , get that thing listed and take your friend to tea to celebrate your new flamingo product range! Trying to come up with a new slogan idea for your t-shirt or find a niche to target? Run a quick search on a popular slogan like ‘Keep Calm and’ or ‘Straight Outta’ to see how people are using it. ‘Straight Outta’ gives suggestions like ‘Straight Outta Chemo’ and ‘Straight Outta Nursing School’ and over 200 other popular ideas. You could make your own Straight Outta shirt or better yet, take those popular niches and make a new slogan. ‘I went to nursing school and all I got was this lousy shirt (and super RN powers!)’? Now run a targeted ad on Facebook to nursing graduates and you’re good to go! Plus, Tangent Words now includes dictionary definitions, synonyms, related words and excitingly, a ‘Brainstorm’ section which incorporates leading AI technology to explore the concept of your chosen keyword in more depth. Suggestions include uses for the keyword, properties of the item, rhymes and more. These are invaluable for finding alternative uses for a product or discovering a new ‘angle’ for a particular niche or keyword. Quickly discover that owls are also known as the bird of Minerva, umbrellas can be opened both outdoors or indoors (unlucky!) and coffee rhymes with toffee. These factoids act as triggers to guide your way to creative products, slogans, designs and marketing. TangentWords now includes two more view options. Table view lists suggested keywords in order of ‘Tangent Rank’ - a measure of popularity drawn from several marketplaces. Clicking a word adds it to your ‘saved keywords.’ These can be cut and pasted into your listing or draft. You can also paste them into Google Keyword Planner or Keywords Everywhere to get search volume information. From here, you can also click ‘Explore’ to enter the Tangent Explore mode and find more information, images or content about your chosen keyword. Data view lists all the keywords as a comma separated data file. You can copy and paste this into your notes or use it to look up search volumes in Google Keyword Planner or Keywords Everywhere. Tangent Explorer is built into the Niche Machine and Tangent Words, but also comes as a Chrome Extension, meaning that you can use it everywhere, even when you’re not in Tangent! But watch out, because having fast, easy access to so many resources can get addictive! Explorer currently has four tabs. Explore is your go-to tab to learn more about a keyword. On this tab, you’ll find Content, Visual (images), Trends, News, Social Media and Video. Spotted ‘Pencil Case’ on a school supply list? Check out what TrendHunter says about this year’s must have cases. Or quickly discover what the most desired pen holders are on Pinterest right now. You can even see what people on Facebook or Twitter are saying about pencil cases or whether they’ve been in the news lately. Public Domain is a powerful collection of the best image and media archives. Creating vintage wallpaper or giftwrap? Searching for the perfect picture for your journal cover? Hunting for public domain books for your project on alchemy or beer brewing? It’s all here. This tab includes public domain art, government images, books and even music and sound, helpfully sorted for you. Products has all your market research and sourcing needs covered. 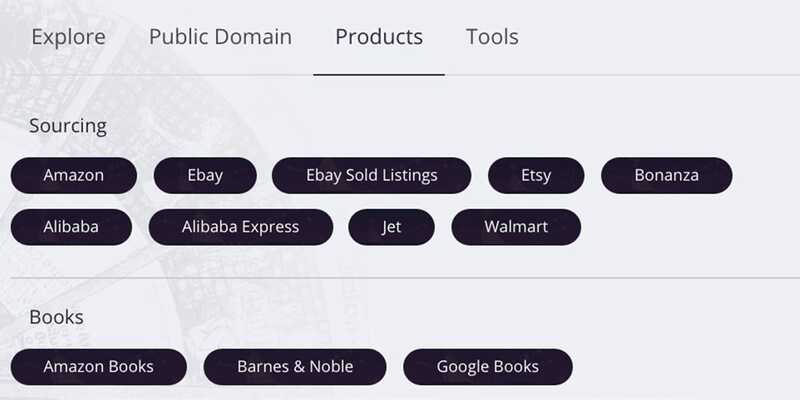 Divided into three sections, the first is for sourcing platforms like Alibaba, Walmart and of course Amazon, letting you explore what’s on the market for anything from jewelry to pool floats. The other two sections are for t-shirts and books. Search Merch, CreateSpace, Google Books, Zazzle, TeeSpring and much much more! Tools is your fast track for creating content. The Fun section means you can quickly generate puns, acrostics and if you’re brave, get a slogan from Urban Dictionary, while trademark search runs a quick check for you on Justia and Trademark. Plus Utilities includes quick links to helpful tools like translation and Google Maps to help you quickly pinpoint a city or place.